The European Independent Film Festival December Update! It’s been a very busy month for the ÉCU team – as it always is at the end of the year. Between some chocolate cakes and some Portuguese cupcakes we found the time also to shoot some funny videos, but spent most of the time watching film submissions. We shoot a lot in this month – from EICAR – The International Film & Television School Graduation Ceremony, where we saw the creatures of a lot of very promising filmmakers (which we hope to see submitted to ÉCU soon), to the fantastic evening at the International Chamber of Commerce for their 2016 Photographic Awards. We saw some beautiful photographs along the current theme of #PeoplePlanet and we had some great food cooked by Les Cuistots Migrateurs, thanks to the work of some very talented chefs hailing from migration countries. 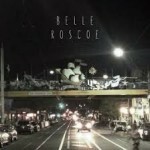 ÉCU Team is also a master of combining fun and work: we spent a day in Batofar, where we had the chance to see indie rock band Belle Roscoe perform. This brother sister duo really offered us a great performance and a perfect occasion for shooting the magic of the moment! This month was so full that we could not visit them but a lot of our festival partner took place and we always have a look of what happens in them. In Italy D.E-R, an association of documentary filmmakers from Emilia-Romagna, held its 10th edition in the inspirational city of Bologna. 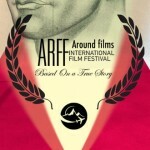 In Berlin instead, took place the Award Ceremony of the Around Film Festival is a network based film collective that gathers international colleagues all around. Flying to Netherlands, we could have seen the movies of the Eindhovens Film Festival, an independent and non-commercial festival that prides itself on searching for “artistically free” independent filmmakers who make statements and choose unconventional storylines. Although our international staff went home for Christmas, some of us stays in Paris waiting for your film submissions! Our Regular Deadline is on the 31st of December. We think submitting your film is the perfect way to spent an amazing New Year’s Eve and look forward for 2017!